Letting our couples live out their romance with us is such an honor! 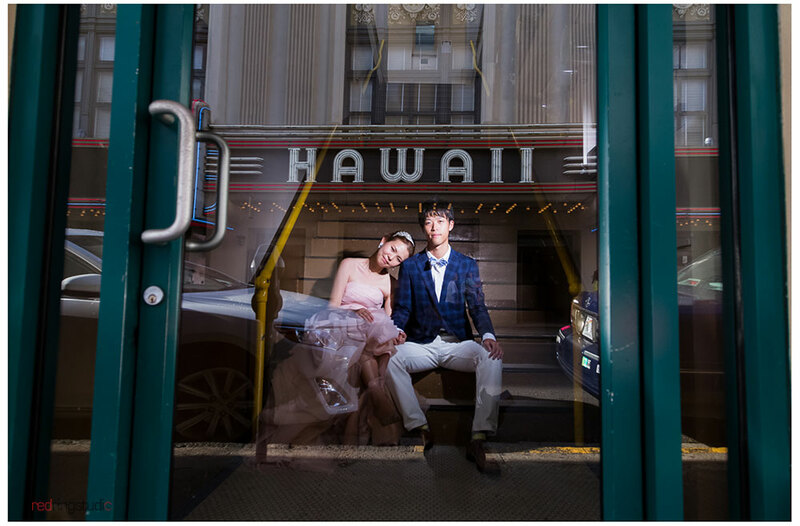 While Haruka & Yuichiro speak mostly Japanese, they were really easy to work with, allowing us to capture moment after moment of them in this beautiful place we call Hawaii! The session they booked with us was our 3 hour Red Ring Signature Session. During these shoots I dedicate myself to our couple for the day to get the best photos we can. We started at 9am in Waimanalo and lucked out with wispy clouds, a light breeze, and just enough sun to give us some nice variety. 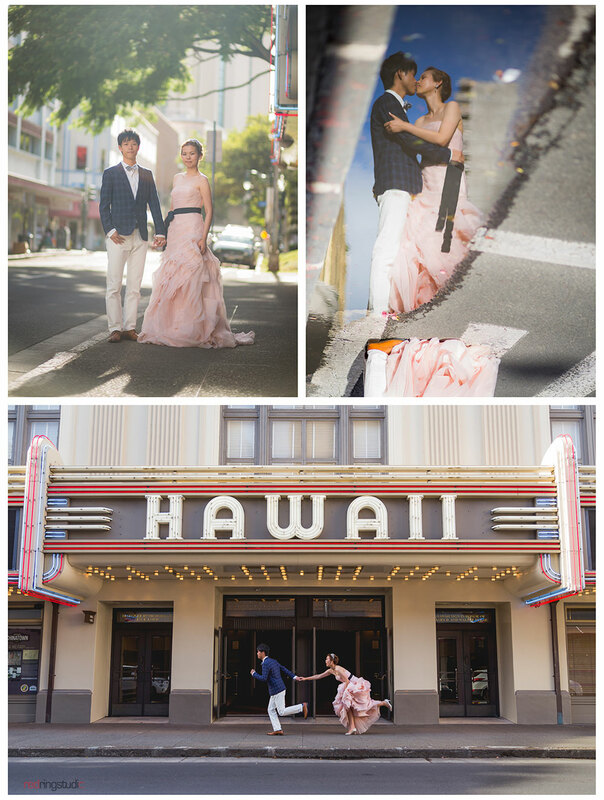 The second part of our day continued downtown where we shot at the iconic Hawaii theater, it was their idea to do a shot with them looking like they were running. 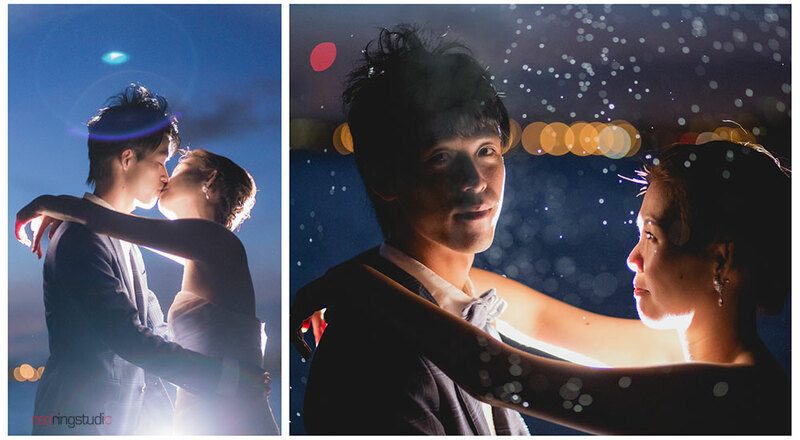 Last but not least, we did the last part of our shoot at Ala Moana Beach. 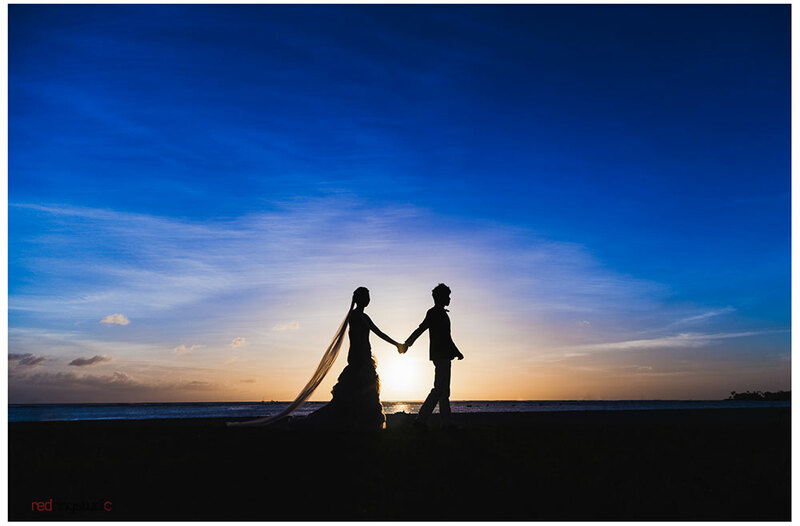 It's a challenging location with all the sunbathers, but the sunset and sky was beautiful that evening, making for some wonderful shots!